Mark Esper, Secretary of the Army and a 2019 Wash100 Award winner, called on the private sector to support the service’s plans to dedicate most of its upcoming budget to next-generation systems and less for legacy platforms, National Defense Magazine reported Monday. 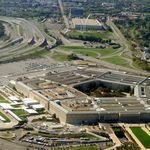 The Congressional Budget Office projects that the Pentagon’s 2019 Future Years Defense Program is leading to a significant increase in the agency’s base-budget costs into the early 2030's. In a report released Wednesday, CBO said the figure could increase from the agency’s request of $617B for 2019 to $735B in 2033. In April, the Department of Defense released the 2019 FYDP detailing the expectations about the planned costs from 2019 to 2023. The co-chairmen of a commission that reviews the National Defense Strategy have said the lack of stable funding and concept of operations would make it difficult for the strategy to address the threats posed by China and Russia, USNI News reported Wednesday. Gary Roughead, a retired Navy admiral, and diplomat Eric Edelman of the Commission on the National Defense Strategy appeared Tuesday before the Senate Armed Services Committee to discuss the commission’s recommendations. Deputy Defense Secretary Patrick Shanahan has said a reduced budget would restrain some of the Pentagon’s objectives, Federal News Network reported Friday. He told reporters Thursday that the Defense Department completed the proposed $733B budget and has now begun to draft the $700B spending plan after President Donald Trump ordered a 5 percent budget cut. Deputy Defense Secretary Patrick Shanahan told Defense News in an interview published Monday that the Pentagon has a “really great road map” for digital modernization. Shanahan said he believes having an information technology strategy in place could help the Defense Department carry out modernization efforts, such as consolidation of data centers and deployment of a common financial platform.